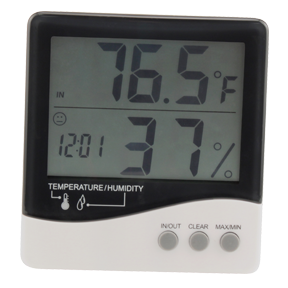 Measures indoor/outdoor temperature & indoor humidity. Stores the Min./Max. 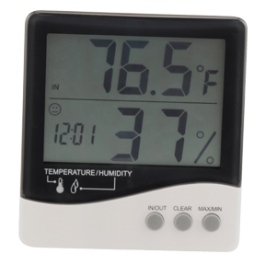 values of the indoor/outdoor temperature and indoor humidity. Switch between °C and °F. Clock function with 12/24 hour time format. Waterproof temperature probe. Comes with 1 AAA alkaline battery.